SEO stands for “Search Engine Optimization.” It is the process of designing, coding, planning, updating, or simply editing content, images, and videos and associated coding to increase its relevance to specific keywords and geographical regions so that search engines like Google, Bing, and Yahoo can display it organically “for free” in search results. SEO is often referred to as “natural”, “organic”, “free”, or “earned” results. If search engines cannot read, understand or even find your site, you miss out on incredible opportunities to drive traffic to your website, and your competitors may be the ones getting all the traffic, making conversions and sales. To understand what SEO does for a website, we will cover some necessary steps that at a minimum should be included for your site to be considered for search engines. There are three main foundations for SEO, link building, HTML tags, and content optimization. Link building refers to the process of getting external pages to link to a page on your website. It can be from social media or popular websites and blogs. It is one of the many tactics used in search engine optimization to increase online visibility and organic traffic. Web traffic driven by social media sources like Facebook, Instagram, YouTube, Pinterest, and other popular websites can generate an enormous amount of traffic. HTML tags are pieces of code placed in the <head> section of your website that provide a concise summary of the web page. Not so much for SEO, but for a better CTR (Click-Through-Rate) we always recommend writing well-elaborated HTML tags. The title tag is an HTML element that defines the title for the web page. It should be 70 characters or less and should include an accurate description of a page’s content. A good practice is to add your business name and keywords related to the web page content. As an example, we are going to use a small lawn care business in the Romeoville, Illinois area that we helped with their website design and development. Go ahead and do a quick Google search for “Romeoville lawn care” and you will see the result on the first page. The meta description tag defines a description of your web page. The description tag is not visible on the page itself, and that’s why a lot of people don’t pay much attention to it. 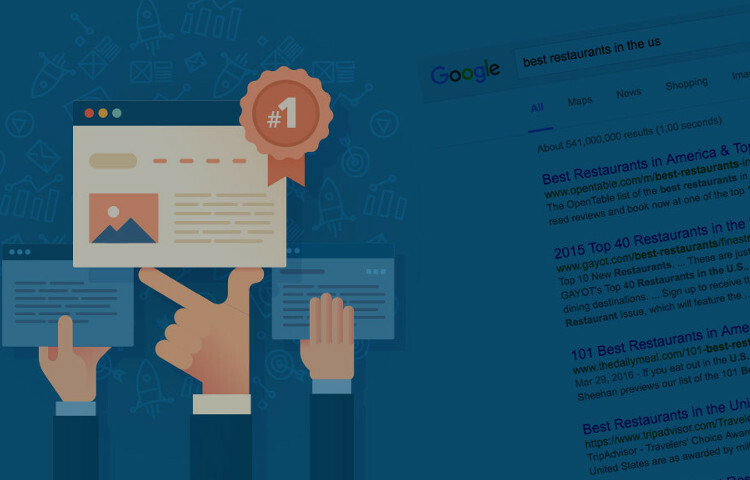 A well-written meta description will provide useful information to both, search engines and online users impacting a page’s CTR (click-through-rate). 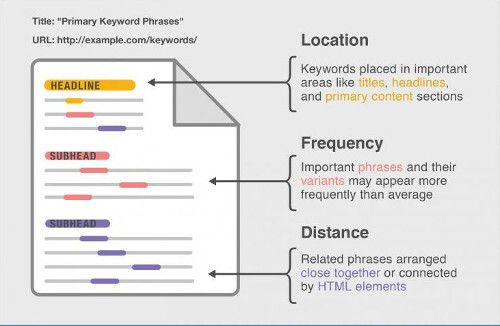 The meta keywords tag defines the main topic of a web page in a keyword list description way. Meta Keywords tag was a tag used by the earliest versions of search engines dating back to AltaVista, Infoseek, etc. and its pretty clear that the meta keyword tag is dead in terms of SEO value according to Google, Bing, and Yahoo. At Inova, we still added them just in case. The code above shows on Google search results like the following picture. Another example of how HTML tags are displayed on search engine results. Web content is the primary source for traffic generation to websites. Web content is all the textual, aural and visual elements on a web page. Text, images, videos, and audio are the most used forms of web content. Well organized and structured web content will improve your search engine visibility. For a small business website, content should include at least 300 words or more and at least 1-2 images. Content should consist of heading tags and paragraph tags with relevant keywords. There is a great debate about the number of words per web page. Some agree on a minimum of 300, and some say it should be 500, and some say that at least 1000. Focusing on quality relevant content is the key for great conversions. The best way to optimize images on a web page is to make sure they are relevant and compelling and make sense of what it’s being discussed in the content. Use <h1> or more heading tags for web page title elements, use <p> tags for paragraphs and make sure keywords are included throughout the entire page. 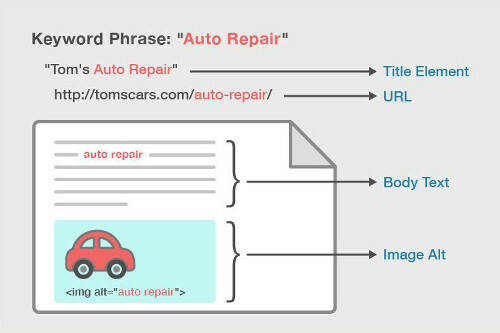 Keywords used in text and within certain elements provide clues as to the context of the page. Overusing this technique is known as keyword stuffing, and all major search engines consider it as spam. Essentially keyword phrases play a significant role in the organization of a page. They significantly influence how search engines extract relationships and determine rankings. In a nutshell, SEO covers a broader aspect. However, anyone interested in having a successful website should consider having a strong SEO game.